Here it is… the final part, (and unexpected for some people who didn’t think I would write a finale), of Saskatoon…ing. BOOMtown Blast!!! 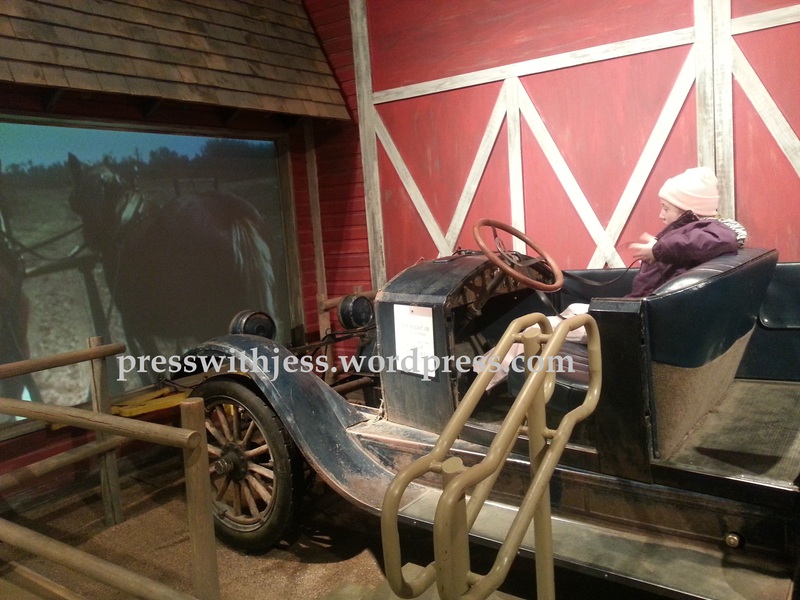 The first thing we did when we got to Saskatoon, was go to the Western Development Museum (WDM). We had lunch in the café with the delicious food. That’s my personal opinion about the café – no one asked me to write that. The chicken strips and fries were AWESOME! As we entered the museum, I personally was AMAZED! The Yorkton WDM is pretty good and all but Saskatoon WDM was more fun. The theme is Boomtown 1910. When you got inside you looked at Boomtown St. 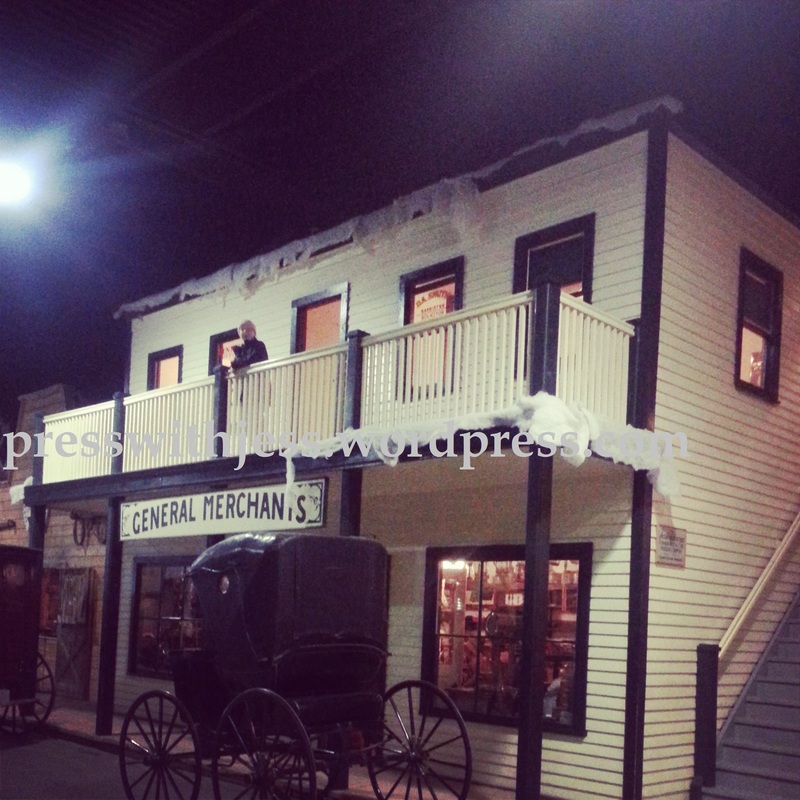 It was filled with old-time buildings like general stores, old fashioned doctors and dentist offices, a one room school house and much more. You got to go into the buildings. In the schoolhouse, I found out I have the same birthday as John. A. McDonald. He was the first Prime Minister of Canada. Pretty cool huh? There was mannequins like they use in boutiques all over. These mannequins had faces, and I was creeped out. After that, we went on to other parts of the musuem. They had the Great Depression and believe me, it did look and sound very depressing. The had exhibits all the way up to now. My favourite part would probably have to be the Funhouse. It was just a hall of mirrors but still pretty fun. There was other things too like hearses. The one we saw was used as a coffin for the dead and an ambulance. Pretty cool too. In the Great Depression section, there was an old timey car called the Bennett car. Since during the great depression everything everything cost so much money, no one could afford gas. People would take their engines out, and hitch the horses to drive. There was a sign saying “Want to drive? 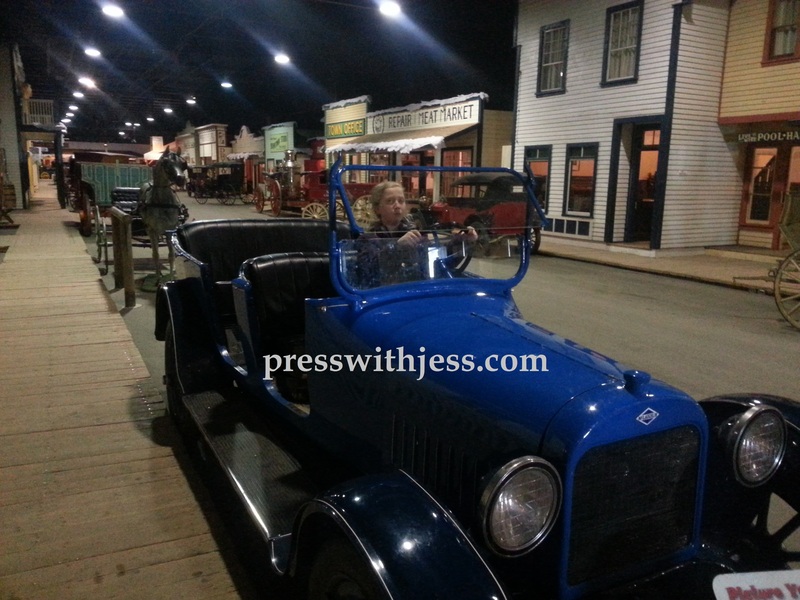 Pull the reins to start.” I thought, “Of course I want to drive, who doesn’t?” It was pretty cool to drive. Which, BTW I can start driving at 15 here in Saskatchewan. Since I turn 15 early in the year I can drive in grade 9. ‘Sigh’ sometimes an early birthday can totally be worth it. Well, that’s the end of Saskatoon…ing. Hope you enjoyed it.